Translational behavioral medicine involves experts from different disciplines and professions interacting to solve complex problems. Coordinating this expertise can be frustrated by the partially tacit nature of expertise and by the various ways in which it manifests in different communities. We describe a method—the Toolbox dialogue method—for addressing these challenges by means of a structured dialogue among team members concerning their respective approaches to complex problems. 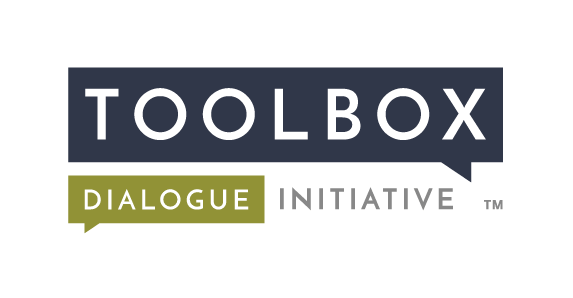 The Toolbox dialogue method consists of a philosophically grounded questionnaire—the “Toolbox”—deployed in workshops by collaborators from different disciplines and professions. The Health Science Toolbox was modified from an extensively utilized questionnaire designed for Science–Technology–Engineering–Mathematics (STEM) research and has been piloted with translational medicine teams. Eighty-five percent of participants in STEM workshops indicated a positive impact on awareness of the knowledge, opinions, or scientific approach of teammates. In the Health Science Toolbox, 35 % of questionnaire responses changed substantially from pre- to post-workshop, demonstrating impact of the workshops. The Toolbox dialogue method is a relatively brief workshop encounter that can have a positive impact on mutual understanding within translational medicine teams. Schnapp, L. M., Rotschy, L., Hall, T. E., Crowley, S., O’Rourke, M. (2012). 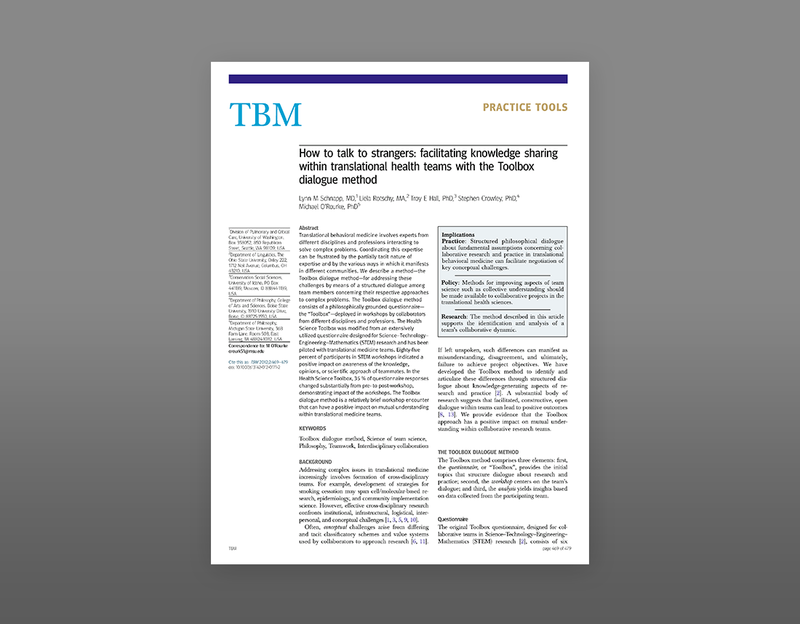 How to talk to strangers: Facilitating knowledge sharing within translational health teams with the Toolbox dialogue method. Translational Behavioral Medicine, 2(4): 469-479. doi: 10.1007/s13142-012-0171-2.